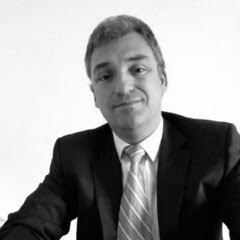 Currently Chief Operation Officer at Social & Beyond, Edouard has more than 15 years experience in telecommunication, automotive and security business. Entrepreneur profile with high experience in technological start-up projects, he participated in the foundation of Fractus, a well-known growing European Technology start-up in the global telecom industry (Mobile and IPR), Advanced Automotive Antennas (Telecom and Automotion), Wireless BCN (Wireless Networks) and Social & Beyond (Wifi and Social Media). He created the new telecommunication business unit of Ficosa, automotive multi-national company proposing car antennas and telecommunications smart M2M modules to the main car manufacturers. Major achievements include 350 millions manufacturing contracts with Renault, Nissan, VW and BMW. Collaborating with major accelerators networks like Wayra (Telefonica), Edouard main interests include M2M, Wireless technologies, Social Media and collaborative economy models.